"Every bite is a minute I'll never get back." 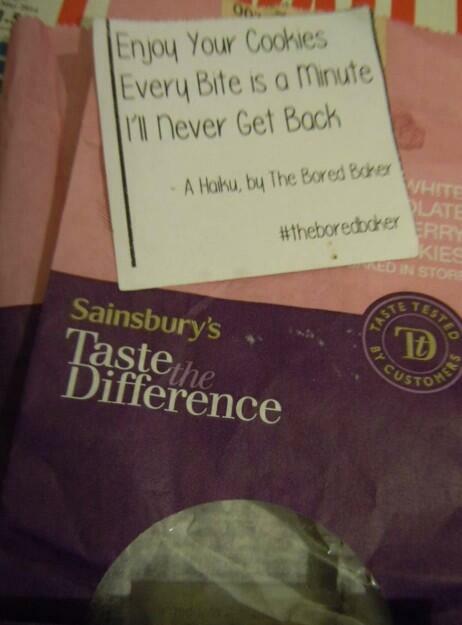 Shoppers at Sainsbury’s have been finding Japanese haiku-style poems in packets of cookies and cakes. 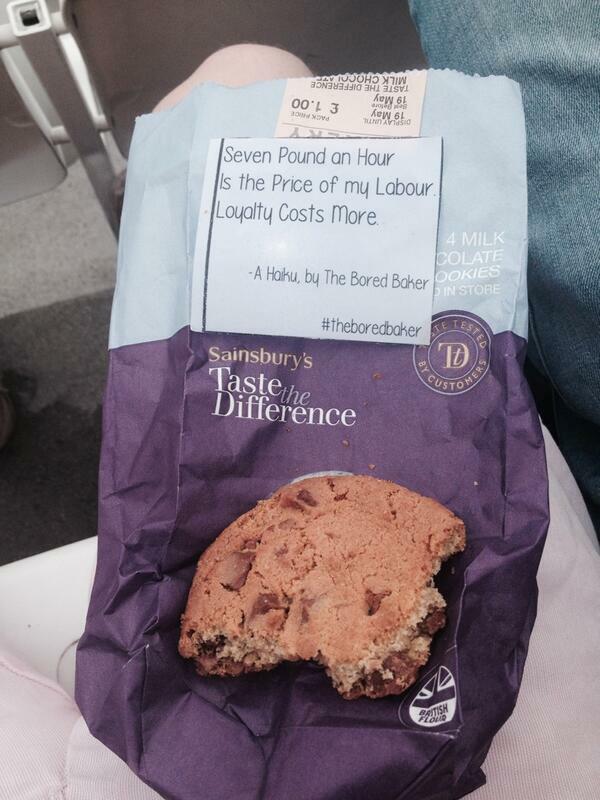 The haikus are all signed off by “The Bored Baker”, with an accompanying hashtag. The supermarket giant appears to have only been made aware of the issue after people started posting pictures of the verses on Twitter. @WillWilkin Haha! Hmm..Don&#39;t think that&#39;s meant to be there. Can I ask which store you got these from? Natalie. @WillWilkin Haha! Hmm..Don't think that's meant to be there. Can I ask which store you got these from? Natalie. Student Gary Hernandez told the Sun he had found one poem which read: "Been sneezing all day, good thing HIV cannot, be passed on like that." 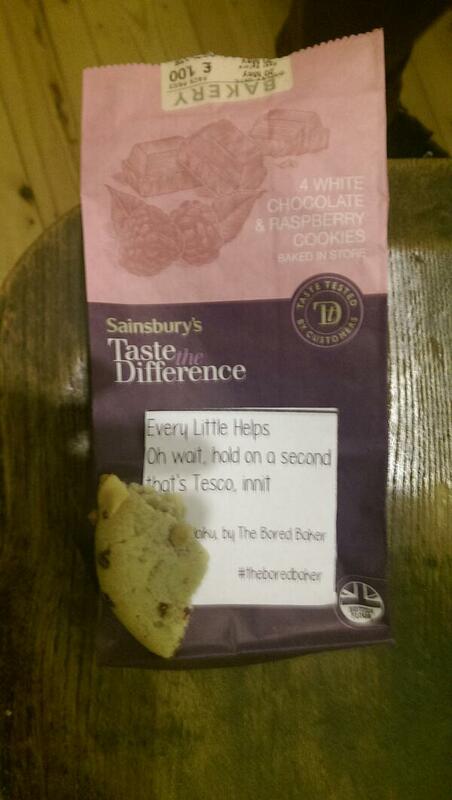 The 24-year-old later complained to Sainsbury’s saying he found the poem “tasteless”. The Daily Mail claims the mystery baker carried out the prank on his last day in the job and has since left to concentrate on his studies. As soon as we realised one of our bakers had been putting notes in a small number of cookies, we immediately checked them and withdrew them from sale.Obviously this should never have happened and we apologise to anyone who was affected.